From -3 to +3 diopters. Leica Correction Lenses Take off your glasses. The Leica Correction Lenses M provide optimum eye-to-camera matching, making composing images in the viewfinder more precise and comfortable. 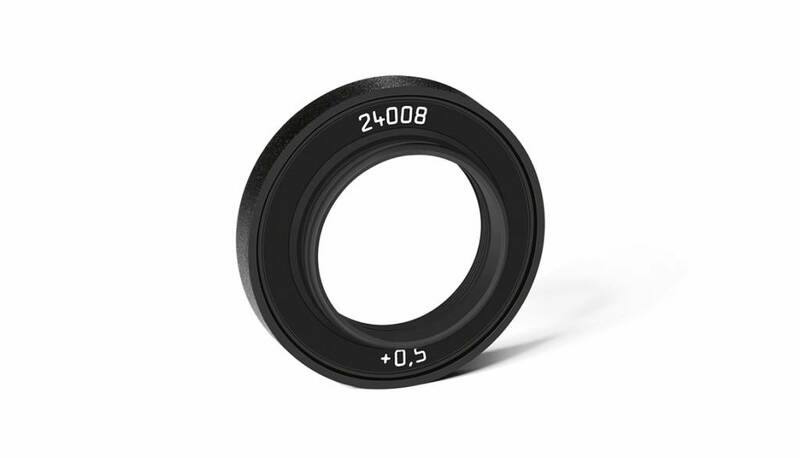 They are available in grades of +/- 0.5, 1, 1.5, 2 and 3 diopters. Please note that the Leica M-Viewfinder is preset by default to -0.5 diopters, so anyone wearing glasses of 1 diopter strength would require a +1.5 diopters correction lens.